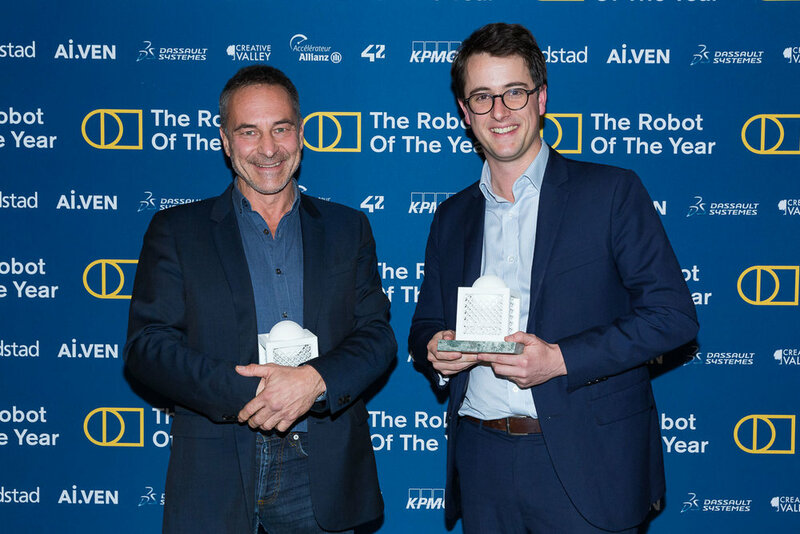 AWARDS CEREMONY - (left) Jean Louis Constanza - Co-Founder & Chief Business and Clinical Officer at Wandercraft, Christophe Aube - CEO AgreenCulture (right). The 1st international prize to reward best AI and robotics innovations for humans. The Robot Of The Year awards aim at encouraging, selecting and supporting the development of most promising artificial intelligence and robotics innovations, designed for the benefit of human society and aligned with well-defined ethical criteria, in a number of key industrial sectors. For this first edition held on November 26, 2018 at Station F in Paris, more than thirty projects competed. The jury of experts, chaired by Bruno Maisonnier (CEO of AnotherBrain), awarded the grand prize of The Robot Of The Year 2018 to Wandercraft exoskeleton. The smart farming solution developed by AgreenCulture received the special prize of the jury. The 2 awardees will receive a strategic and financial support of up to 2 million euros, from Ai.VEN, the first social impact investment fund specialized in artificial intelligence and robotics. Wandercraft has developed the world's first natural walking exoskeleton controlled by dynamic robotics. It allows people in wheelchairs, paraplegic up to 100%, to walk again, to cross obstacles, and to live an autonomous ordinary life - without crutches and without help. Currently used in rehabilitation centers, it will receive the CE marking in January 2019 and then will be marketed in Europe and overseas. Very soon, a personal version will accompany wheelchairs users in their daily living activities, at home and in the city. It is the first dynamic walking robot - not just exoskeleton - to reach the industrial and commercial stage. As the shift to a greener agriculture requires a significant increase in the labor force that many farmers can not afford economically, AgreenCulture developed lightweight and affordable agricultural robots, to support the migration to organic agriculture. 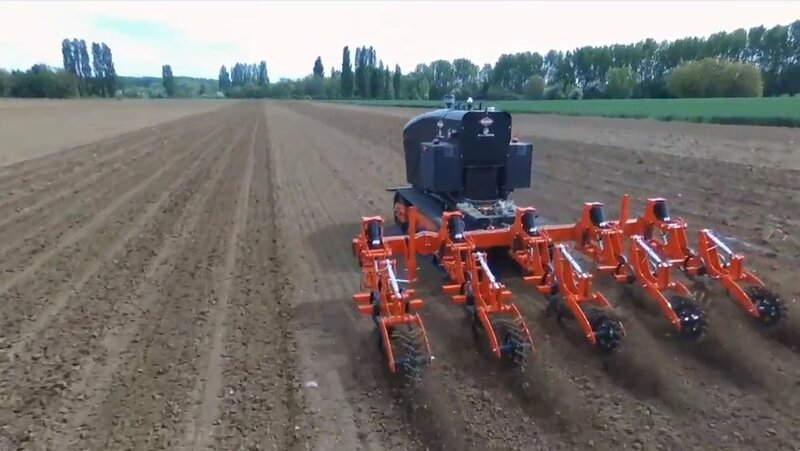 AgreenCulture robots are collecting more and more data to deal with low value-added tasks such as tillage, sowing, fertilizing and weeding. Time-consuming tasks that limit farmers in their availability to develop their ecological knowledge and know-how. AgreenCulture gives them the time and knowledge they need to focus on developing and improving a more sustainable agriculture.